Are you one of millions of people battling some type of hair loss? More than half of males experience some degree of male pattern baldness by age 50, but even women and children can experience unwanted hair loss. There are more options than ever before to treat hair loss — such as herbal treatments, scalp massage, lasers, and surgery — but one of the most popular options is the safe and effective pharmaceuticals on the market. There are two main medications approved by the FDA for treatment of hair loss — and they’re very different. For starters, Rogaine is a topical solution applied to the scalp, while Propecia is an orally administered pill. One medication is better than the other at treating a receding hairline. Men can use either medication, or even both, but women are restricted to just one. Because of these distinctions, it is important to choose the right hair-loss medication for you. Let’s take a closer look at each one. Rogaine (minoxidil) was first on the scene. Its ability to fight hair loss was discovered accidentally. The drug, a vasodilator, was originally used exclusively to treat high blood pressure, when some patients began reporting that it re-grew hair as a side effect. It was approved by the FDA in 1988 to treat male pattern baldness. Rogaine, by Pfizer, is primarily effective at stopping hair loss, but in some patients, it can increase protein blocks, which can promote new hair growth. It is said to be effective both on the hairline and vertex of scalp. Rogaine can be used by both men and women, in a 2% or 5% solution. Propecia (finasteride), made by Merck, is an orally administered medication approved by the FDA in 1997 to treat hair loss. 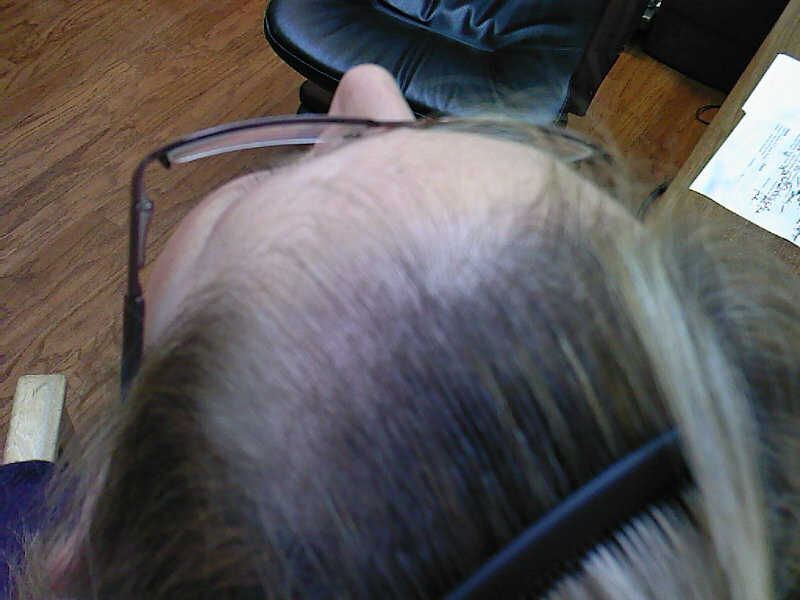 Unlike Rogaine, which is a vasodilator, Propecia acts on hair loss through hormonal means. (Because of this, Propecia should NOT be used by women or children; it could be very dangerous.) Propecia is an anti-androgen, which decreases the conversion of testosterone to dihydrotestosterone (DHT), a chemical responsible for balding. With DHT inhibited, existing hair is better maintained, and the body can put more energy into thinning follicles so that they become thicker. Propecia has high effectiveness with early to moderate hair loss, and works best on the crown of the head, but not as well with a receding hairline. Neither Rogaine nor Propecia is a quick fix for hair loss. They both need to be taken for long periods. It can take anywhere from 6 to 24 months to see initial results, and patients may need to take their chosen medication indefinitely keep treating the condition. Knowing all this, which factors should guide your choice between Rogaine and Propecia? Your gender: if you are male, you can be prescribed either (or both), but if you are a woman, you can only use Rogaine. Your goals: Rogaine is slightly more useful for retaining existing hair, while Propecia is said to be more effective at promoting new hair growth. Your area of hair loss: Propecia has good results mainly on the crown, while Rogaine has documented success on the hairline and the crown. Medical interactions: Consult your physician to determine which drug is a better fit for your personal health conditions and other medications. Side effects: With Propecia, you may experience decreased libido or gynecomastia. Rogaine may trigger allergic effects, chest pain, dizziness, or irregular heartbeat. Ease of use: Some people feel that a daily pill is simpler than a twice-daily application to the scalp, but others prefer to pick their medication based on its mode of action. Whichever method you select, be patient, and remember to keep feeling good about yourself, your hair, and your overall health. As with any drug, please consult your physician before you begin any medication. I'm 28, female and suffer from thinning hair. I'm on Minoxidil, but are there any other alternatives? I hate the idea of putting this on my scalp for the rest of my life. You may think that at the age of 28 it is unusual to have thinning hair. This is not true. 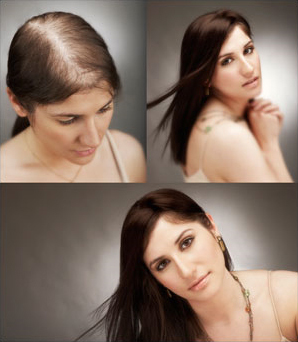 There are as many women with hair thinning problems as men, but women very rarely go bald like men. In fact it is a surprise to know, that hair loss in very young women is rampant. By very young, we are talking late teens and early twenties. There is always a reason for hair thinning and the most important way to counteract it is to uncover the cause or causes of the thinning. This could vary from low iron levels, insufficient proteins in your diet, hormonal effects or thyroid anomalies to mention just a few causes. Once the causes have been established, the action you should take will be quite straightforward. In your case, you are on Minoxidil, which sometimes holds the thinning in check, but not always. The point is that you are not getting to the heart of the problem and you should seek specific professional advice from a Westminster Trichologist. When it’s time to see the Trichologist: If you begin losing hair rapidly, and or are cosmetically concerned about baldness, consult your Trichologist about treatment options. You can receive a free hair loss consultation with a Westminster Trichologist at our Hair Centre. The point is that you are not getting to the real problem and you should seek specific professional advice from a Westminster Trichologist. QUESTION: Does topical minoxidil work for women? ANSWER: Yes, topical minoxidil potentially can help women who have a certain type of hair loss called androgenic alopecia, the type of hair loss that occurs with aging. Minoxidil is thought to stimulate hair growth by increasing the blood supply that nourishes the hair follicles. It may take four to eight months to see results, and if treatment with minoxidil is stopped, the scalp will revert to its previous state of hair loss. The results that can be seen with minoxidil vary from person to person. Side effects include unwanted facial hair growth and scalp irritation. Hives (itching) and swelling occasionally occur. Eye irritation can occur if the solution gets in the eyes. Excessive use of topical minoxidil can result in a drop in blood pressure. Scientists are studying why hair grows and what signals the body sends to hair follicles to make hair grow. If your hair is thinning, treat it gently. Avoid hairstyles with braids or other styles that result in hair pulled tightly, since this causes stress on the follicles. Avoid scratching your scalp or twirling your hair. If your scalp is itchy, use a medicated shampoo. See a dermatologist if this problem does not resolve. There are many reasons for hair loss other than aging, including certain medications, illness, stress and some disease states. For example, certain thyroid conditions can result in hair loss. Certain scalp infections also can result in hair loss. Medicines offer hope for regrowth of hair: By Aliki Nassoufis. BERLIN — First the forehead gets higher, then a spot at the back of the head clears — hair loss is for many men the worst thing they could possibly suffer as they get older. While balding men used to place their hopes in all kinds of remedies or attempt to conceal the areas with hair pieces, effective hair growth medications have been available for years. But they can’t guarantee the return of a full head of hair. There are good reasons for the anxiety men feel when their hair starts to fall out. “Studies show that to other people, bald men appear to be an average of three to four years older than they actually are,” said Ronald Henss of Saarbruecken. “They also are perceived as less stylish than men with a full head of hair. In the eyes of many beholders, a bald head means the loss of attractiveness. One small comfort: “Most people think of bald-headed men as family men and faithful husbands,” said Henss. The likelihood of hair loss increases with age. By their 80th birthday about 80 percent of men are affected, said dermatologist Natalie Garcia Bartels of a center’s of excellence for hair at Berlin’s Charity Hospital. Up to 100 individual hairs fall out per day from a normal head. Anything over that is considered hair loss. 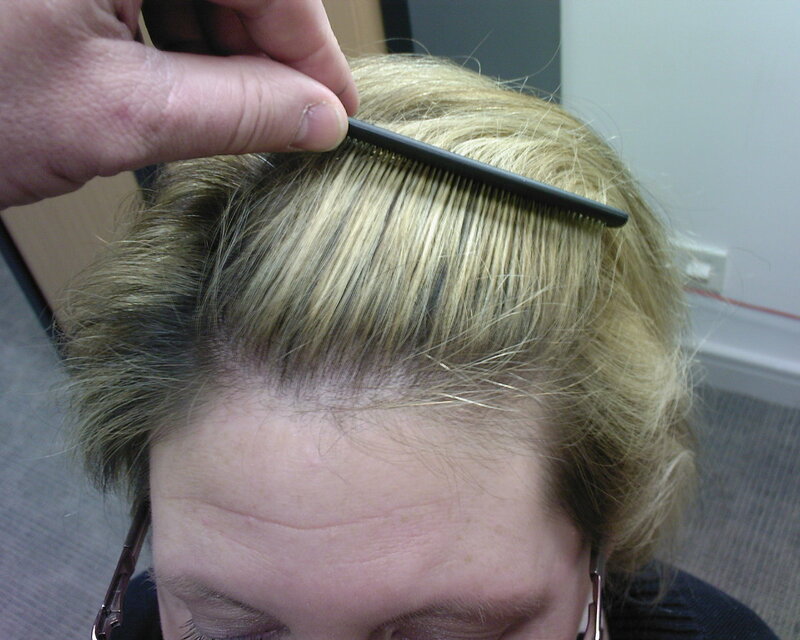 Hair loss is set off by a hormone in the scalp. An enzyme causes testosterone to be transformed into dihydrotestosterone (DHT), which is believed to be the primary contributing factor in most cases of male pattern baldness. The hair follicle develops a deep sensitivity to DHT, which initiates a process of follicular miniaturization. This progressively decreases the width of the hair shaft until the scalp hair resembles peach fuzz or goes away completely. “The result is more hair than normal is lost. Why this happens to some men and not others has not yet been researched,” said endocrinologist Gerd Hofmann of Munich. There are other types of hair loss, but they occur less frequently. When circular patches of hair fall out, for example, the cause typically is an autoimmune disease that sets in rapidly, said Garcia Bartels. Sometimes hair loss is attributed to an internal disease of the thyroid or a low level of iron in the blood. There are remedies available to stop hair loss caused by male pattern baldness and possibly even to reactivate the still existing hair follicles. The effectiveness of the remedies in fact has been documented in studies. Remedies with the effective ingredient finasterid, used in high doses to treat the prostate gland. It blocks the enzyme that converts testosterone into the hair follicle-damaging DHT. Finasterid can be obtained through a prescription and it is in the form of a tablet taken daily. “If the treatment is stopped, the hair loss as a rule will start again,” said Garcia Bartels. The price of the drug for a three-month supply is high. Somewhat more economical is Minoxidil, which is a lotion that must be applied to the scalp twice a day. Originally developed as a blood pressure medication, Minoxidil was found to have the side effect of hair growth. Minoxidil’s success rate is however lower: while hair loss is stopped in 80 percent of the people who use finasterid, the rate is 70 percent among people who apply Minoxidil. Additionally, 70 to 80 percent of finasterid users experience hair regrowth. This is true for 50 to 60 percent of Minoxidil users. Are High-Strength Minoxidil Formulas better than Lower-Strength Ones and is there a natural equivalent? There are two forms of topical minoxidil available over the counter today: two percent and five percent. It is generally felt that the five percent solution is more effective in preserving existing hair and stimulating new growth. The five percent solution is not recommended for use in women because of possible increased hair growth on the sides of the face. This growth is temporary, however, and some practitioners do use it after explaining the full range of possible side effects and complications to the individual. The five percent solution is definitely better at maintaining and promoting new hair growth. We recommend the use of Vitastim and if necessary Biostim as well, in all cases for best results.